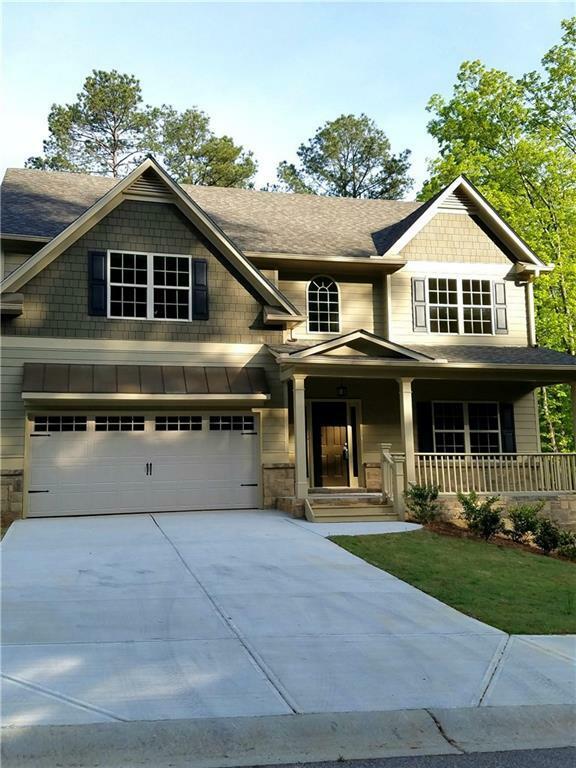 Conveniently located to I-85 & Mall of GA. Craftsman-style home features covered rear porch, wood burning firepl, decorator paint colors, granite tops, island, coffered ceiling in DR, 4 BR, 2 1/2 BA, 9 ft smooth ceilings,master suite w/trey ceiling & lg walk-in closet. Unfin bsmt. Walking distance to ball fields & playground/park. Up to $1500 in closing costs w/pref Lender & closing Attorney (Listing Agent is also Seller/Builder) *Photo is representative stock photo and not of actual home. Listing provided courtesy of Select Brokers Of Jackson Cty, Inc..